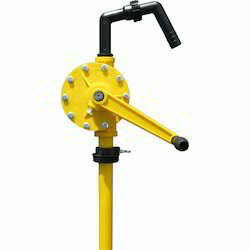 Barrel Pump is a kind of portable pump, suitable for 200L or 220L standard barrels, with small size, and light weight. It is suitable for diesel oil, gasoline, engine oil, vegetable oil, milk, hydraulic oil, alcohol, acid and some other lubricative and corrosive liquid transfer. We are offering a wide range of Barrel Pumps. Our product-line is manufactured under the close supervision of our experienced and qualified professionals. These experts use optimum-grade stainless steel 304 & 316 in the manufacturing process. 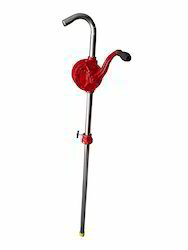 We are offering a wide range of Drum Pump. The offered range of drum pumps is made utilizing high grade raw material and modern machinery in strict adherence with the industry laid norms. Along with this, the offered range of drum pumps is best suited for diesel oil, gasoline, engine oil, vegetable oil, milk, hydraulic oil, alcohol, acid and some other lubricative and corrosive liquid transfer. 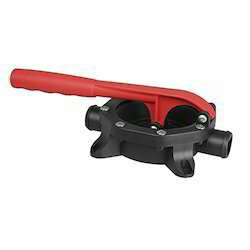 We are offering a wide range of PP Barrel Pump. 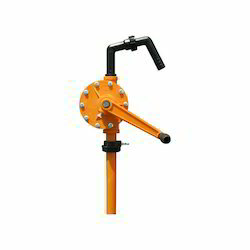 Backed by the rich experience and hard working professionals, we are able to deliver Motorized Barrel Pump. 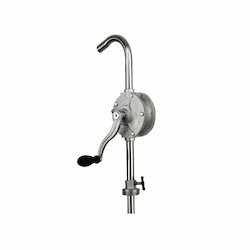 These motorized barrel pumps offered by us are made utilizing high-grade raw material and innovative techniques in strict compliance with the industry laid standards. 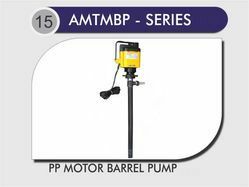 Along with this, the offered range of motorized barrel pumps is best suited for diesel oil, gasoline, engine oil, vegetable oil, milk, hydraulic oil, alcohol, acid and some other lubricative and corrosive liquid transfer. Owing to our rich industry experience; we are manufacturing, supplying and trading a vast array of Polypropylene Barrel Pumps. All our products are manufactured using finest quality polypropylene so that these are in tandem with international quality standards. In addition to this, we customize the offered range as per the specifications detailed by customers. 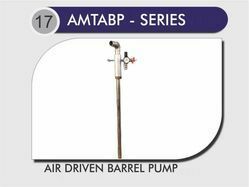 We are offering a wide range of Air Operated Barrel Pump. 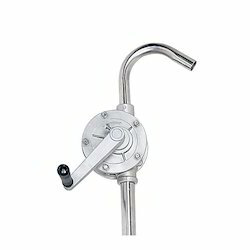 The offered range of air operated barrel pumps is made utilizing high grade raw material and innovative techniques in complete adherence with the international quality norms. Furthermore, the offered range of air operated barrel pumps is stringently inspected on varied characteristics to ensure that flawless products are delivered at customers' premises. We are offering a wide range of High Flow Barrel Pump. 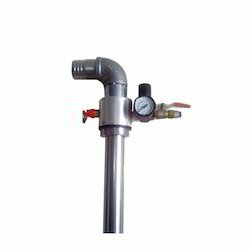 We are offering PP Hand Driven Barrel Pump. We are offering a wide range of Oil Barrel Pump. We are offering a wide range of Motor Operated Barrel Pump. We are offering a wide range of Pneumatic Barrel Pump. 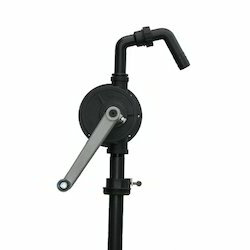 We are offering Diaphragm Hand Pump. Discharge Pressure 1.5 Bar Max. We are offering a wide range of Motor Driven PP Barrel Pump. We are offering a wide range of Motor Driven SS Barrel Pump. 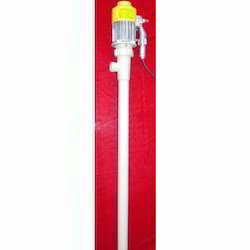 We are offering Pneumatic Driven Barrel Pump. We are offering a wide range of Rotary Barrel Pump. These products are manufactured using excellent quality aluminum & zinc plated steel tube, which is sourced from most trusted vendors of the market. To meet the diverse requirements of customers, we offer these products in variegated specifications. Suitable for the transfer of low viscosity fluids such as gasoline, kerosene, diesel and machine oil. 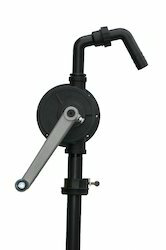 We are offering SS Hand Driven Barrel Pump. We are offering a wide range of Rotary Oil Pump.The offered range of rotary oil pumps is made utilizing highly modern machines and sophisticated techniques in complete tandem with the industry laid norms. 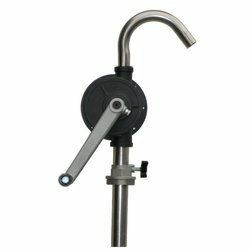 We are offering a wide range of Hand Operated Barrel Pump. These products are stringently quality tested and are highly flexible. Our products are manufactured as per the set international quality and safety standards and are provided at competitive market pricing. These products have a jack nut having accurate adjustment.